Salem is located directly off of I-5 halfway between Eugene and Portland. Salem is the state capitol and the third largest city in Oregon, after Portland and Eugene. It is home to a population of 167,419 residents. It is also home to Kettle Food, Inc. Oregonians have been enjoying their potato chips since 1982. The historic downtown district is magnificent. The streets are lined with striking brick buildings and alluring curb appeal that will take you back in time. In addition to the beautiful sites in town, Salem is surrounded by the Willamette River, Mill Creek, multiple lakes and other encompassing creeks and streams. The water activities in this city are perpetual! 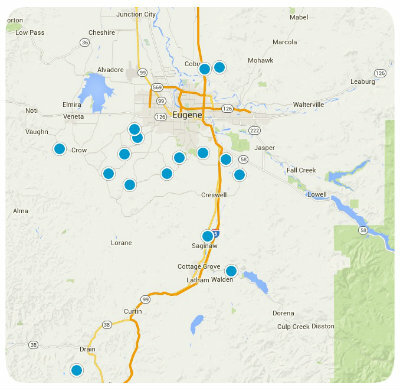 If you have any questions about a home for sale in Salem or about the area, please let us know!